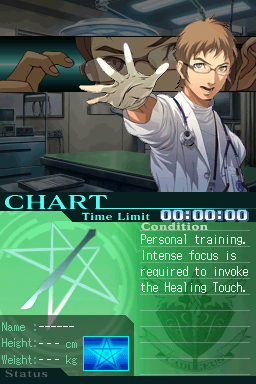 Atlus officially unveiled Trauma Center: Under the Knife 2 for Nintendo DS today. 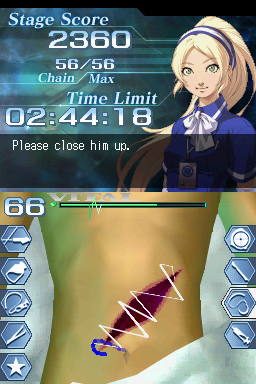 Unlike Trauma Center: New Blood for the Nintendo Wii, this will be a direct sequel to the original. The story will once again focus on Derek and Angie. While the GUILT epidemic may be over, some questions are still left unanswered. Derek, Angie and the rest of the Caduceus' preeminent surgical team will have to face new challenges. No games can match Trauma Center: Under the Knife in terms of utilizing the stylus. So the sequel doesn't really reinvent the formula. It just made some refinements: easy-play mode, clearer directions and improved tool utility. 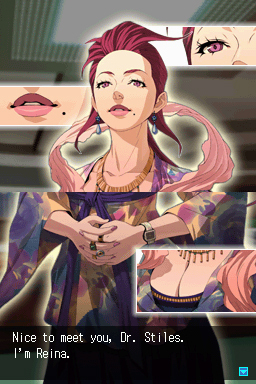 Atlus pretty much covers all the complaints from the original. Trauma Center: Under the Knife 2 will be available in July. For now, you can check out the trailer and screenshots below. For more screens, pay a visit to the media page.